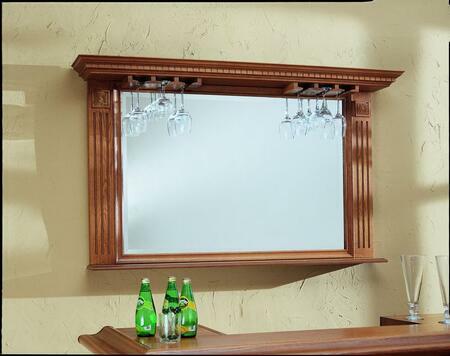 The Kokomo Back Bar Mirror is designed to be paired with one of its counterparts from the Kokomo Collection, or to display on its own. 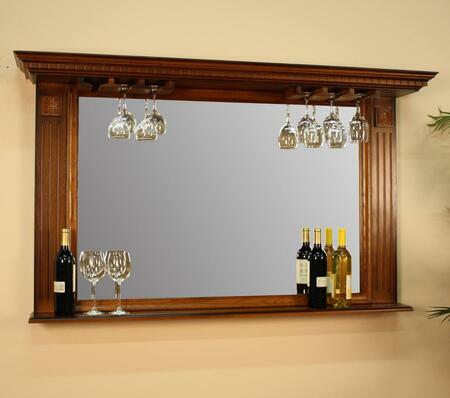 The Kokomo Mirror offers intriguing visual appeal with its dentil molding and flower medallions finished in a rich vintage oak. 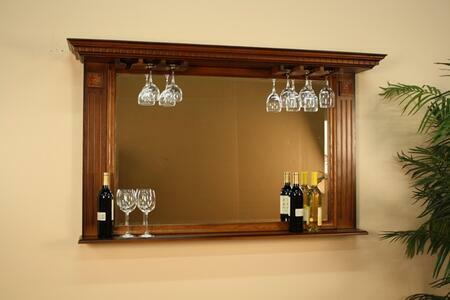 Made of solid wood with an oak veneer, this mirror is generously beveled for added depth and features a hanging stemware rack and display shelf for additional storage.